Carefully formulated and closely managed during manufacturing, NatraSorb’s beads feature a network of microscopic pores that has an insatiable thirst for moisture and is capable of adsorbing greater than 30% of its weight at a relative humidity (RH) of 60% or above. In fact, one pound of NatraSorb® silica gel has a surface area of more than 3,000,000 ft² (265,000 m²), giving it the ability to adsorb substantial quantities of vapor from air or gas environments, even at very low temperatures. NatraSorb® is ideal for residential, retail or industrial applications. 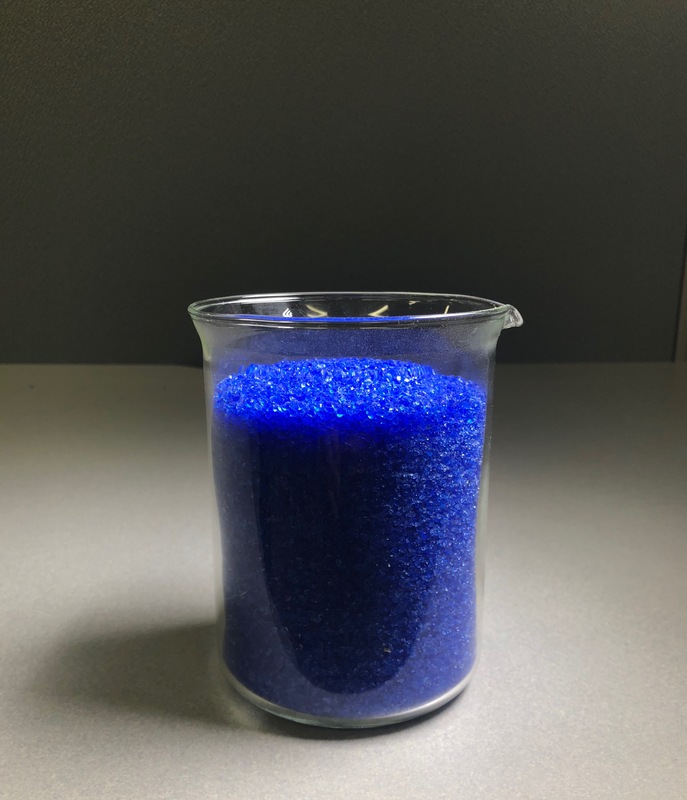 This blue silica gel can be used in many applications where visual control of moisture is required, such as in compressed air dryers, breathers, gas dryers, libraries/museums, transformers and for protection of non‐consumable packaged goods, as well as drying and storing flowers and seeds but should not be used in direct contact with products intended for consumption.